Often the case with our talented designers, Mari found that after years of working in the advertising industry, clay was calling. 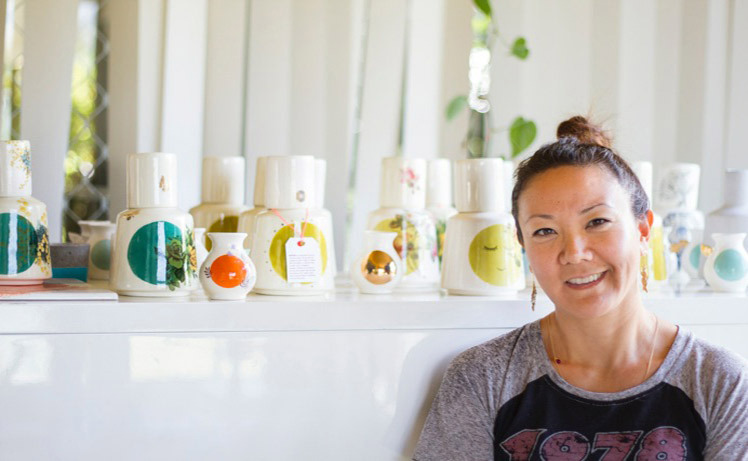 Inspired by her childhood passion, Mari enrolled in a ceramics course in 2014, started her business Mari Bray Ceramics and hasn’t looked back. 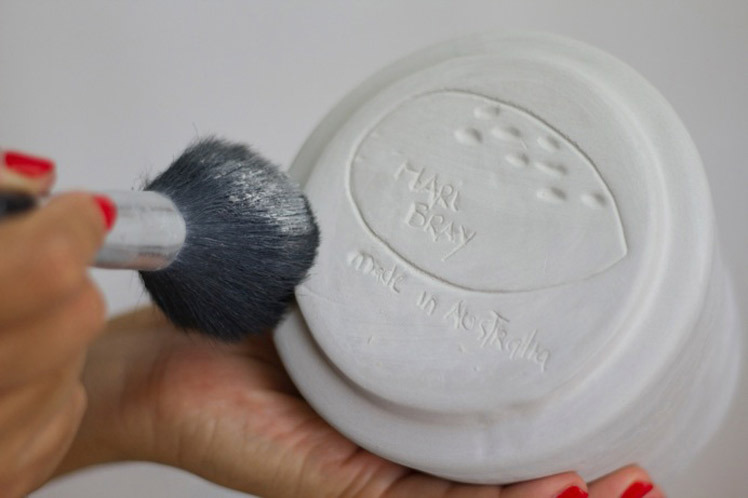 Read on to discover more about Mari Bray Ceramics, who will be debuting at our Brisbane AW15 market this weekend! 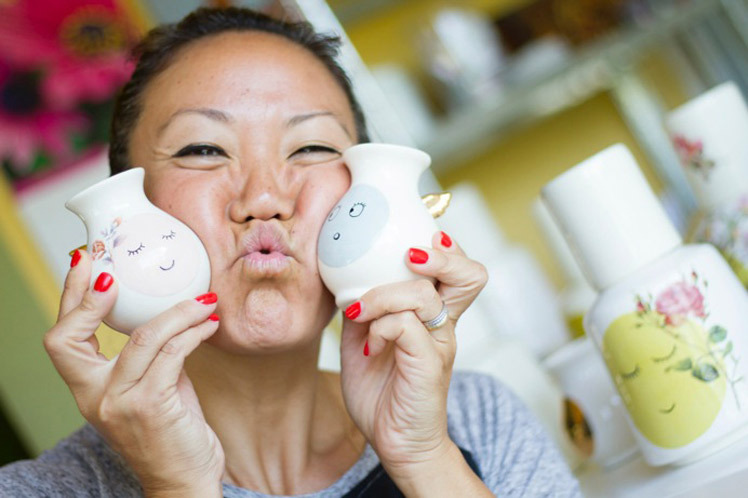 Tell us a bit about Mari Bray Ceramics and what products we can expect to discover? 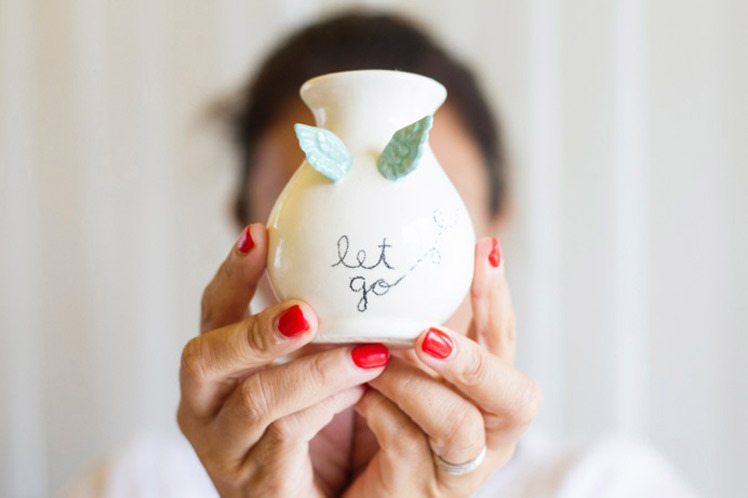 Mari Bray Ceramics is my creative outlet where I strive to create lasting and loving one-of-a kind beautiful and functional pieces people can own and appreciate in their homes. I am very excited to show everyone at Finders Keepers my latest range of ceramics called ‘Life Is’. 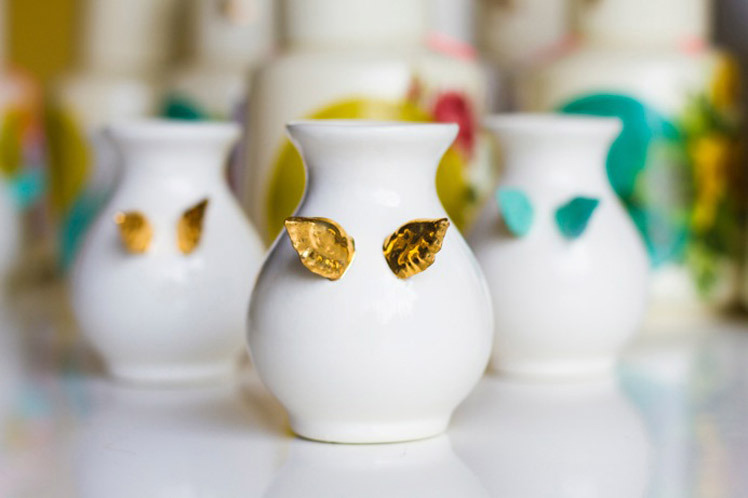 ‘Life Is’ consists of my gold-winged vases, detailed wall tiles and my signature piece; ‘The Moringa’. ‘The Moringa’, a traditional Brazilian water vessel reminds me my childhood. Every night before going to bed I would go to my mum’s bedside to drink water from her Moringa. ‘The Moringa’ is special and indulgent and is designed to maintain water fresh and cool. I still remember the feeling of refreshment and indulgence I had as a child. I was born in Sao Paulo, Brazil to parents of Japanese decent where creativity is both a part of my culture as well as a necessity for survival. My creativity led me to undertake a Bachelor of Visual Arts and later to pursue a career in advertising. In the advertising industry I was surrounded by some of the most exciting and creative people in the world but not actually physically creating anything myself. I travelled extensively and settled in beautiful Australia in 2002. 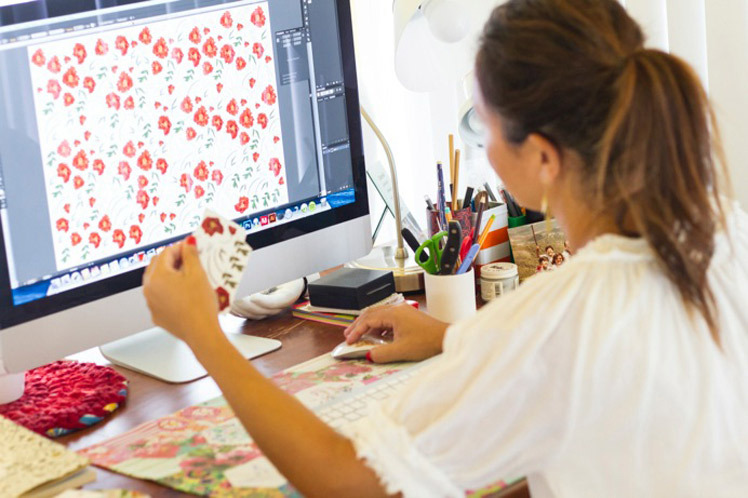 I continued to crave a creative outlet whilst at the same time being attracted to vibrant prints and colours. In 2014, a friend invited me to a take a ceramics course at a local studio. Instantly, I was transported back to my childhood passion of pottery. That day changed the course of life and since then you can catch me elbow deep in mud exploring where my creativity will take me. Nature and the Power of Water. Slowing down and appreciating the natural beauty inspires me everyday. In my current collection, called ‘Life Is’ you will see combinations of flowers, wings and the occasional insect across a range of little vases, wall tiles, bowls and ‘The Moringa’. I believe water is alive and healing. In a subtle way I carve or paint a powerful and positive word such as Joy, Love, Health, Abundance on each Moringa because I believe it will affect the power of water you will drink everyday. 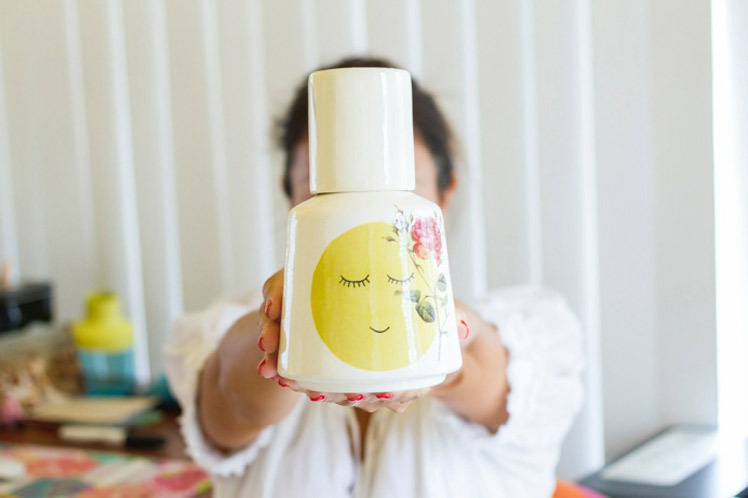 I keep my creative inspirations close to me and this can be seen in my workspace where small pieces of value and bright and colourful knick-knacks are all around me, making me smile. I don’t over think the creative process, instead allowing the creativity flow through me into each piece I produce. I have had some awesome surprises when opening the kiln! Time is always a challenge for me and I am constantly looking for that extra hour in the day. I have three boys under the age of ten and am constantly trying to balance the needs of my family with my creative need to slow down and focus. I am blessed to have Mari Bray Ceramics and could not think of something else I would rather be doing. To be able to creative individual loving pieces everyday is truly amazing. 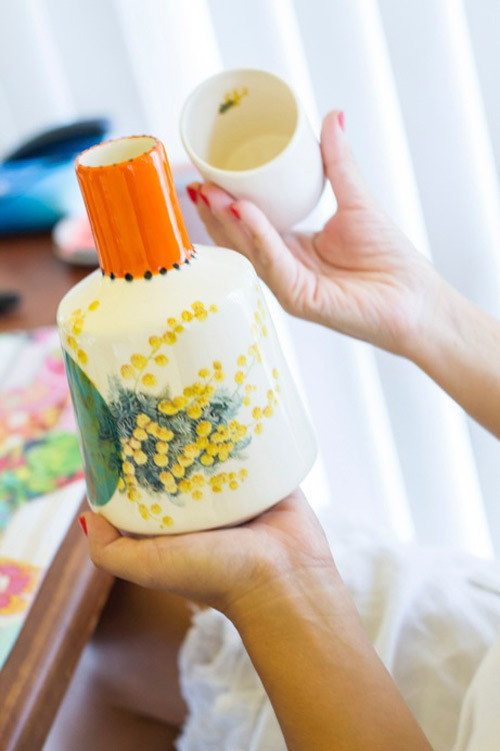 What can we expect to see from Mari Bray Ceramics at the upcoming Brisbane Markets? I will bring my latest collection including of my gold-winged vases, detailed wall tiles, trinket dishes and my signature piece; ‘The Moringa’.